Costa del Sol is a popular choice as wedding destination among foreigner couples as it offers perfect conditions to make a wedding day the most memorable day of your life. Destination weddings are becoming increasingly popular and the south of Spain is becoming one of the best destinations for weddings. Costa del Sol offers splendid weather during almost all the year, with sunny days and pleasant temperatures as well as having beautiful places for wedding locations so for these reasons many couples chose to celebrate their wedding in one of the many beautiful towns around the coast. 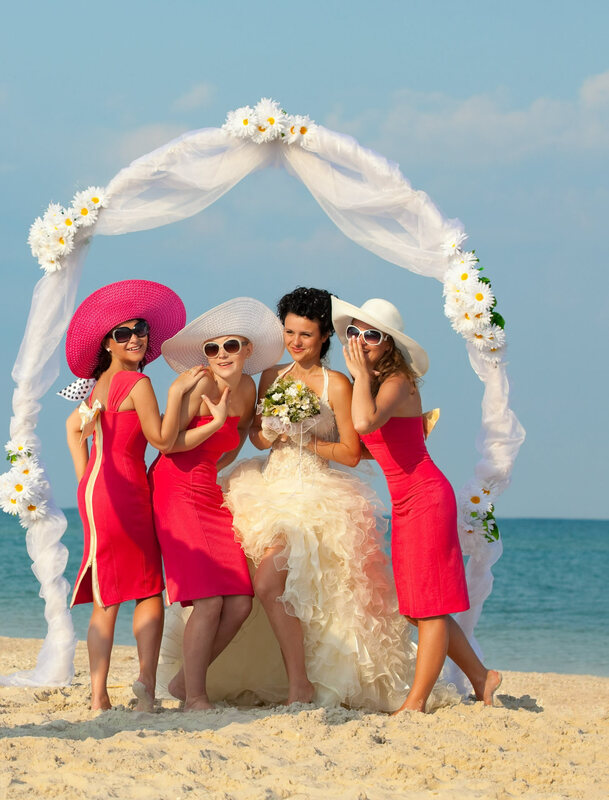 Some of the advantages of a destination wedding is that a wedding abroad it’s an unforgettable experience for the bride, groom, the families and all the guests. Therefore in Costa del Sol everyone can enjoy a vacation style atmosphere where the sun is always shining. Less stress and more fun and better value for money. Costa del Sol is the perfect setting for beautiful ceremonies as there are different ways to celebrate your wedding here. You can chose from a beach wedding, garden wedding, villa wedding, Spanish fincas and other unique venues. For a religious ceremony, the most popular option is to celebrate it in a Catholic church. There are many venues for church weddings around Benalmadena, Marbella and San Pedro , but more planning in advance is needed to fix the dates. To celebrate a wedding blessing or ceremony there are no venue restrictions as you can choose to celebrate it as you wish with no legal paperwork to worry about. It can be a traditional wedding or civil ceremony taking place on the beach, private villas, luxury hotels or glamorous restaurants. To help you plan your destination wedding in Costa del Sol you can get in touch with the different wedding planners and companies that offer these services for planning and organizing your big day. They will help you choose the perfect venue, the catering service, the flowers and other decorations for the event as well as other services such as photography and video and any other at your request.